Keep New Zealand Beautiful is a not-for-profit organization created in 1967 dedicated to keeping communities clean, safe and beautiful. They tackle litter, graffiti removal and reduction, waste minimization and recycling initiatives. Their wider environmental projects include community beautification and clean-up events, tree and garden planting and waterways and highway restoration. 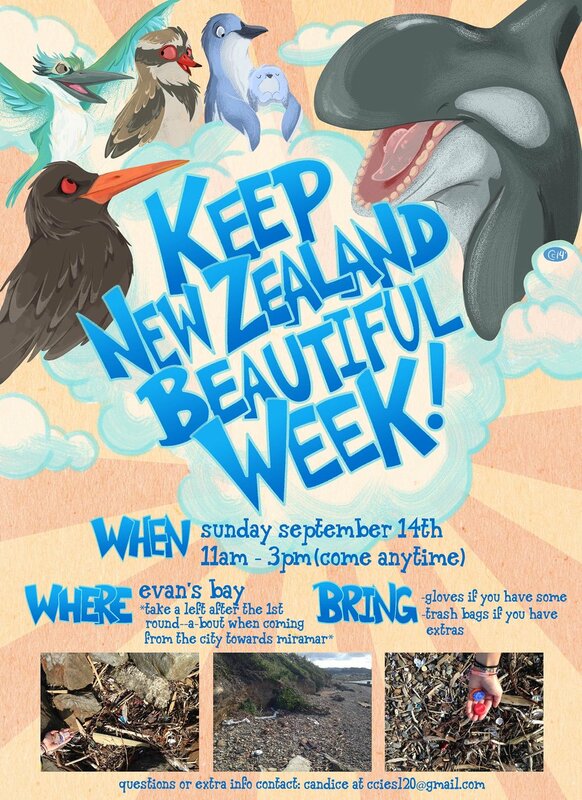 Jordan and I organized a beach clean up in support of “Keep New Zealand Beautiful Week” in September of 2014 in Wellington. 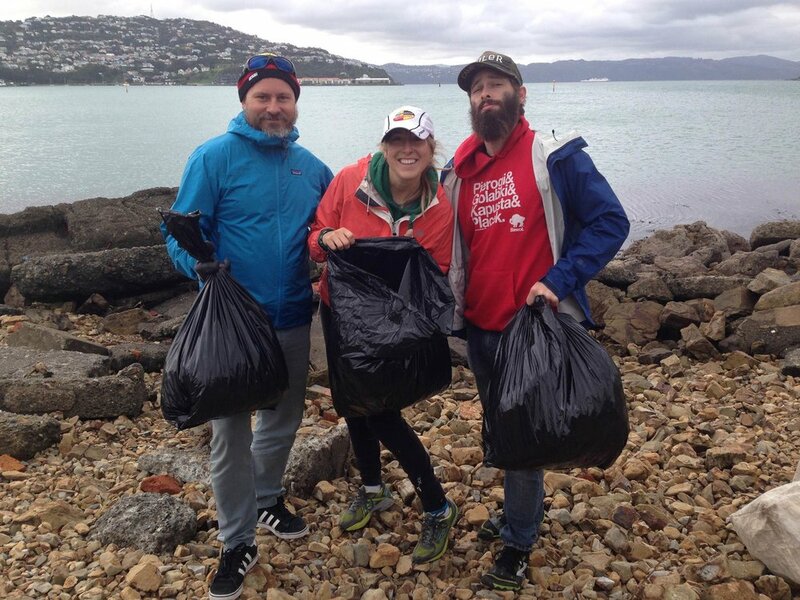 We chose to clean up Evan’s Bay in Hataitai due to the amount of trash accumulated there from the high winds. I first created an event poster to gather a handful of volunteers. We brought several garage bags with us and cleaned the beach and surrounding area up for several hours. We found everything from fishing line, to plastic bags wedged under bushes, to tiny plastic discarded toys. We had over 12 bags of trash near the end of the clean-up which we then took to the city’s waste and recycling center.